Just check second attachment - I noticed that today (although it could be like that since the last update a few days ago). I've reinstalled it and it looks good. Should I be worried that it was in Russian? What does it mean? Interesting. We've not heard this before. 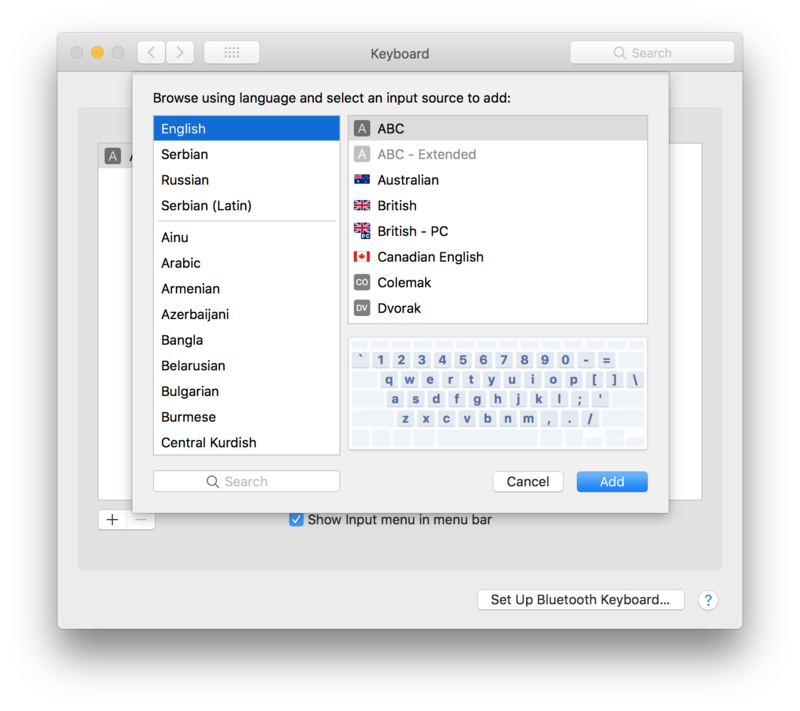 Can you post a screenshot of your language setings in System Preferences > Language & Region. Since it's fixed after a reinstall debugging will be hard. Please do keep an eye on this. Are you 100% positive you downloaded the first GPG Suite from our website? Or did this happen after a sparkle update? No screenshot, but while I do have Russian in there, I have "English (U.S.) - Primary". I even tried removing Russian, and pinentry was still giving me the message in Russian. Actually, now that you say it, I installed it via "brew cask" quite a while ago that I forgot about it. Update popped up few days ago, not sure exactly, and today is the first time I noticed this with Russian phrasing. Did you have any reports about brew cask doing something bad? Ok, this is getting creepy. Just got a pinentry pop-up which looks like it was spawned using XQuartz or something, again in Russian! Removed everything from Settings>Keyboard>Input Sources except ABC - Extended, power off, power on, same thing happens. Sorry for spam, there's no edit button. I uninstalled gpgtools (ran the .dmg again, clicked the trash can), reinstalled it and it's ok again. More info - I'm getting pinentry pop-up by opening .asc file via vim (vim-gnupg plugin). 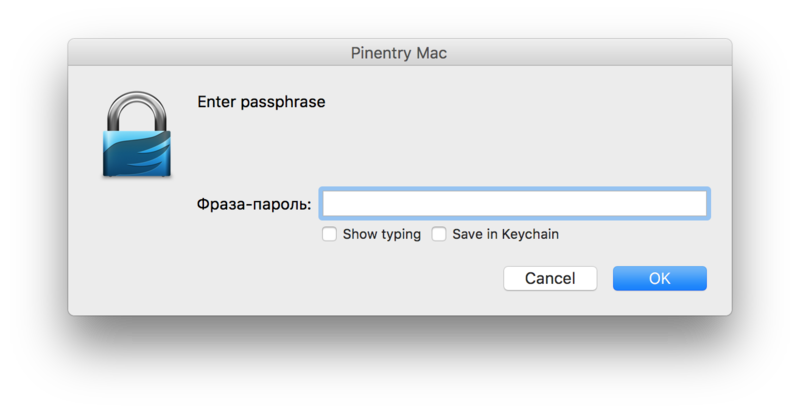 After I uninstalled gpgtools, I tried to run vim file.asc again, and it again gave me the gtk2 pinentry in Russian! is there any chance you have different language settings for the LC variables defined in Terminal? This issue might be related to that. Also, what is "ABC Extended"? env | grep LC gives nothing. You can see in the background that I only have that one language added. 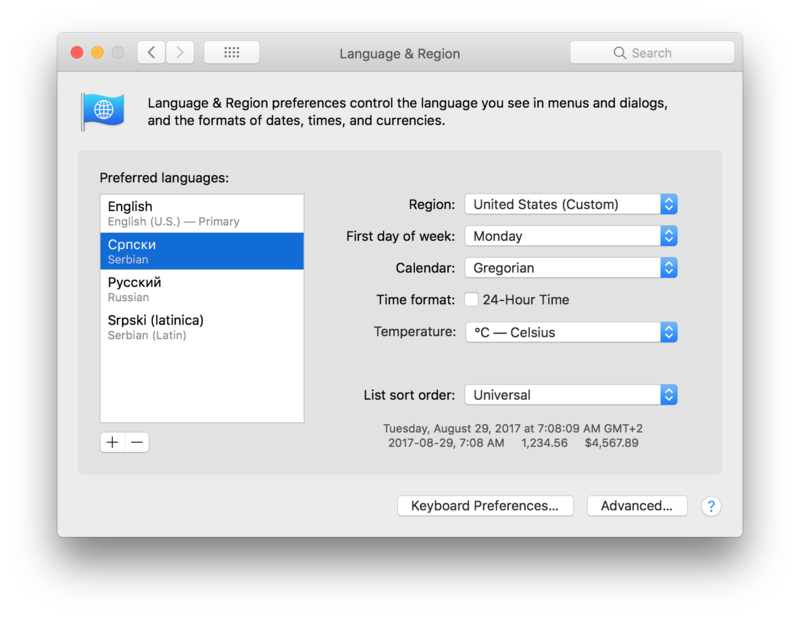 Predrag, please send a screenshot of System Preferences > Language & Region. Thanks. Here it is (yes, there's Russian there, but English is primary). Can't test with removing now, everything is looking good. If I get Russian pinentry version again, I'll try removing from here. Reproduced in Mail, removed Russian from Languages & Region, tried Mail again - it's in English. So the question remains - why it shows in Russian if English is primary and also, what's with the GTK2 version? Would you please download and install that version and let us know if the problem still persists. Installed, I'll report back if something happens. it's been a while. Have you updated to GPG Suite 2018.1? Have the problems with the mixed languages in pinentry continued for you? Yes I'm on 2018.1. I haven't witnessed the language issue since. Perfect. Glad, this is solved for you. Should the issue return, just ping us. Steve closed this discussion on 28 Mar, 2018 11:55 AM.